This item will be created for you after purchase. Order now for delivery on Tuesday, May 21. 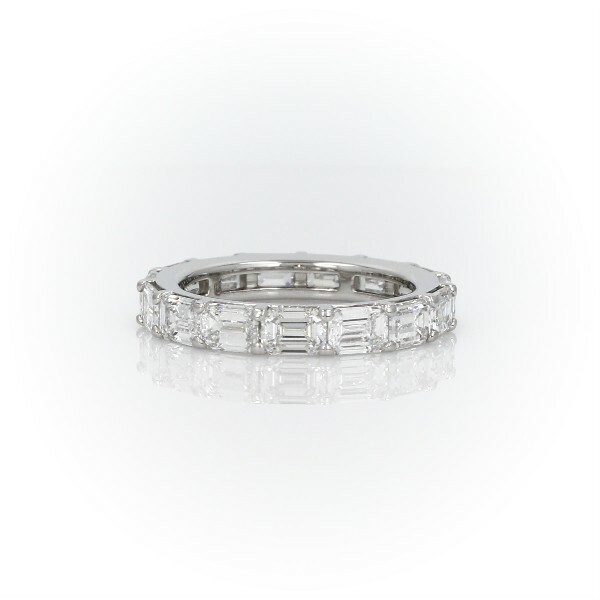 Presenting an endless ring of sparkle, emerald-cut diamonds encircles in east-west configuration on an eternity band of pure platinum.